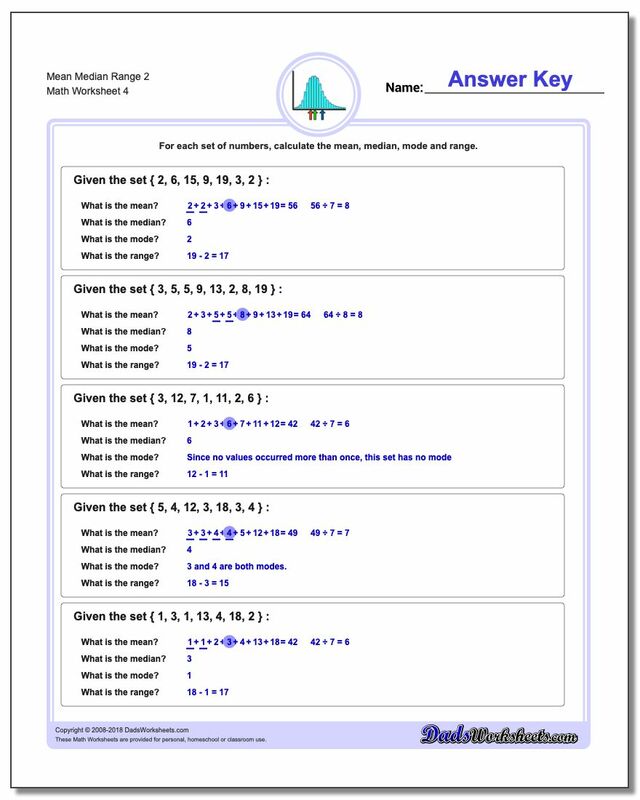 Problem worksheets for finding the mean, median, mode and range given a set of numbers. 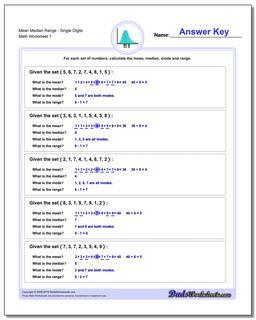 These are basic problems suitable for "by-hand" calculations. 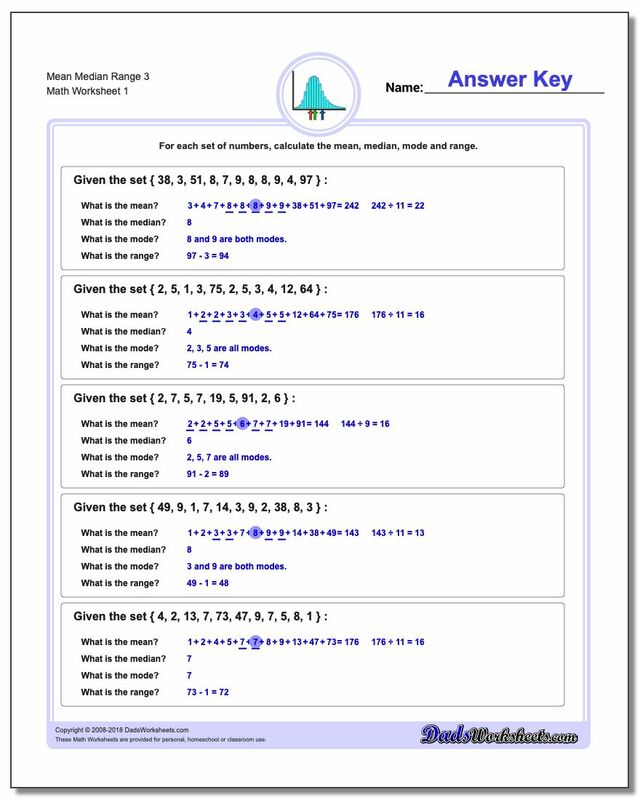 The data in earlier problems are pre-sorted. 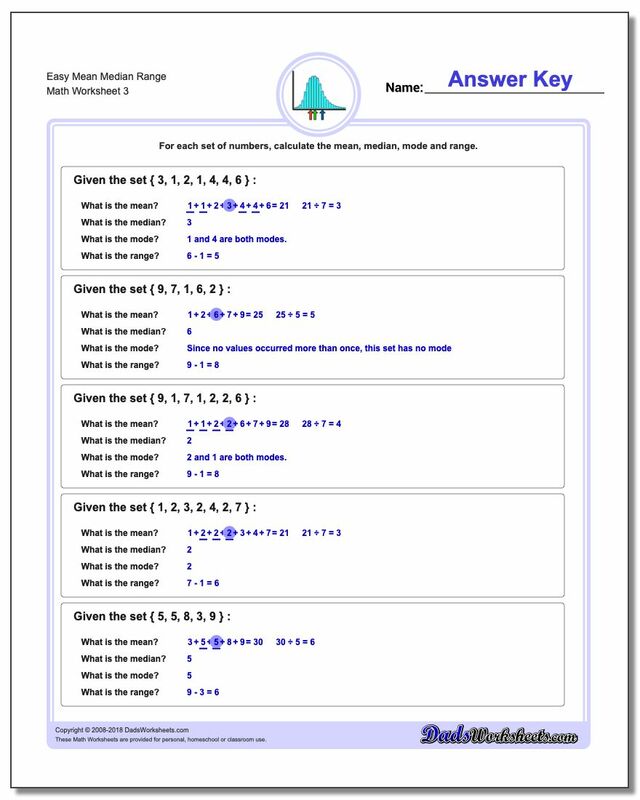 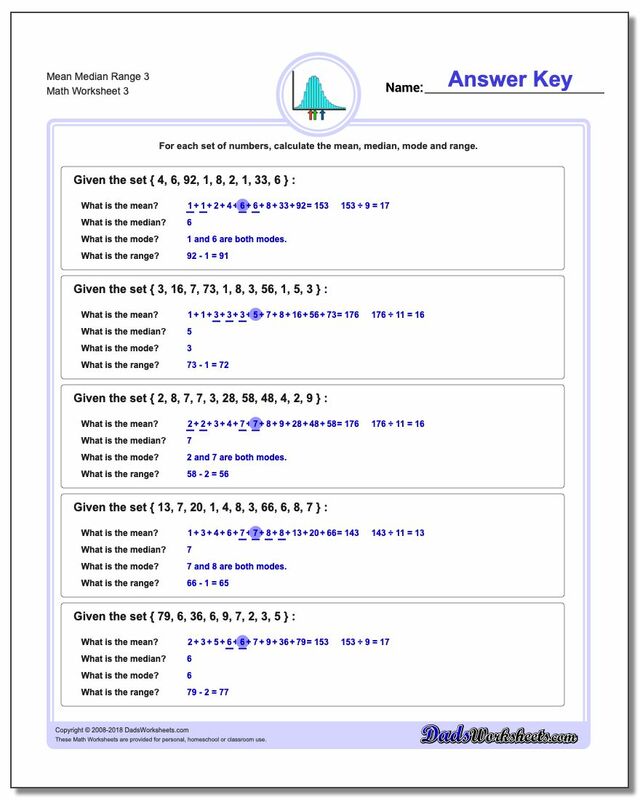 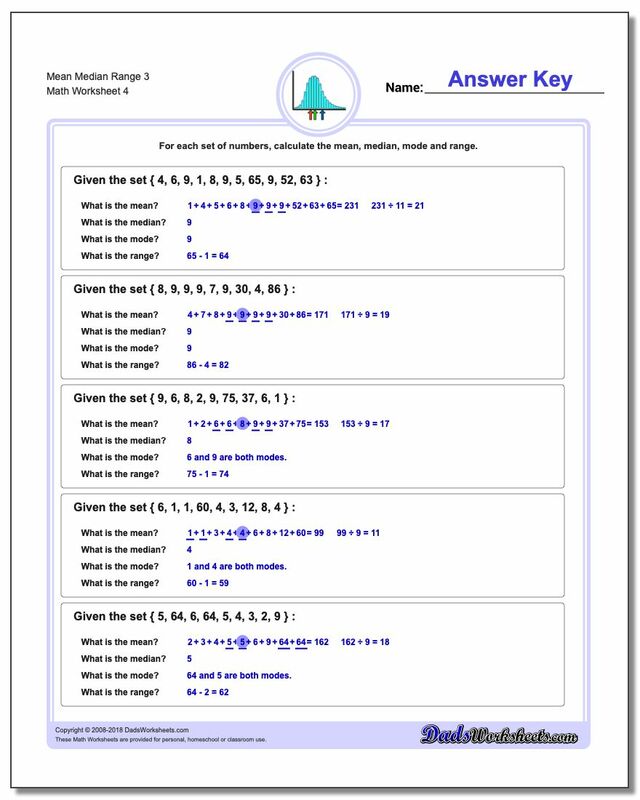 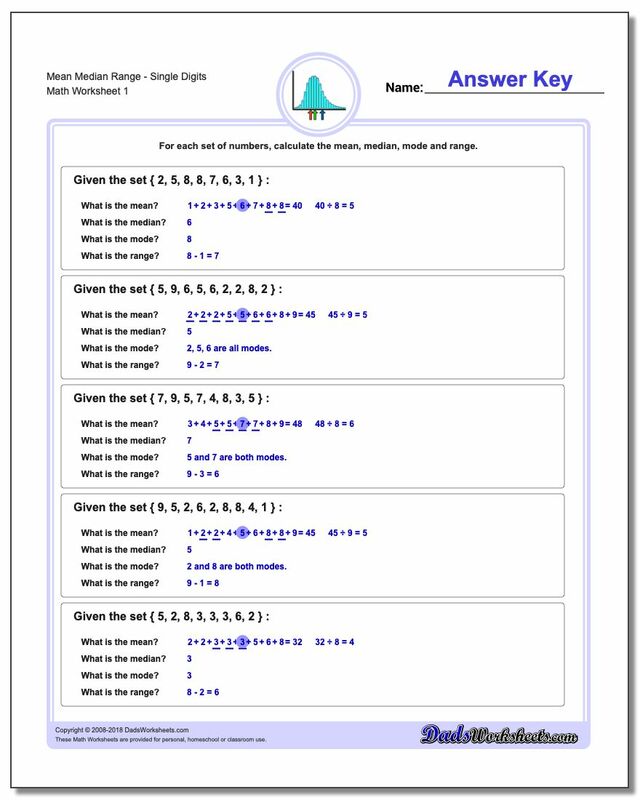 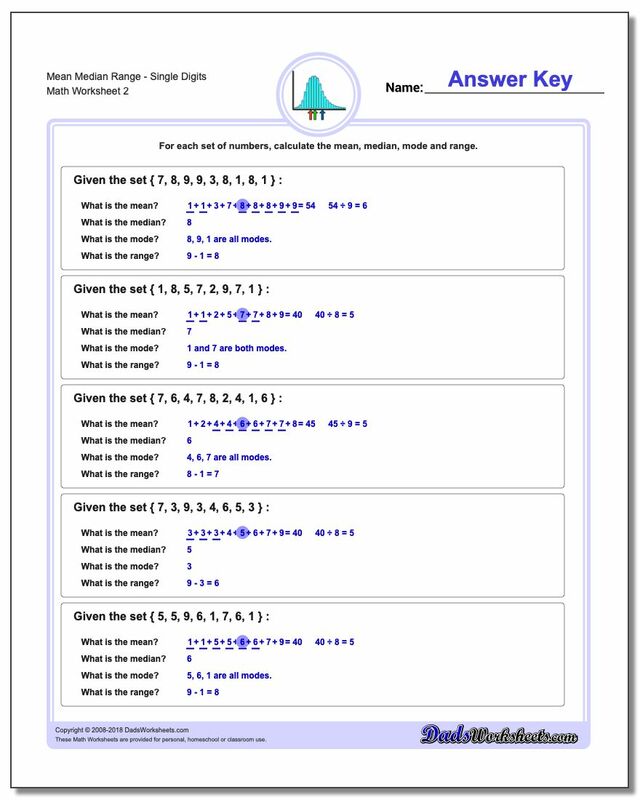 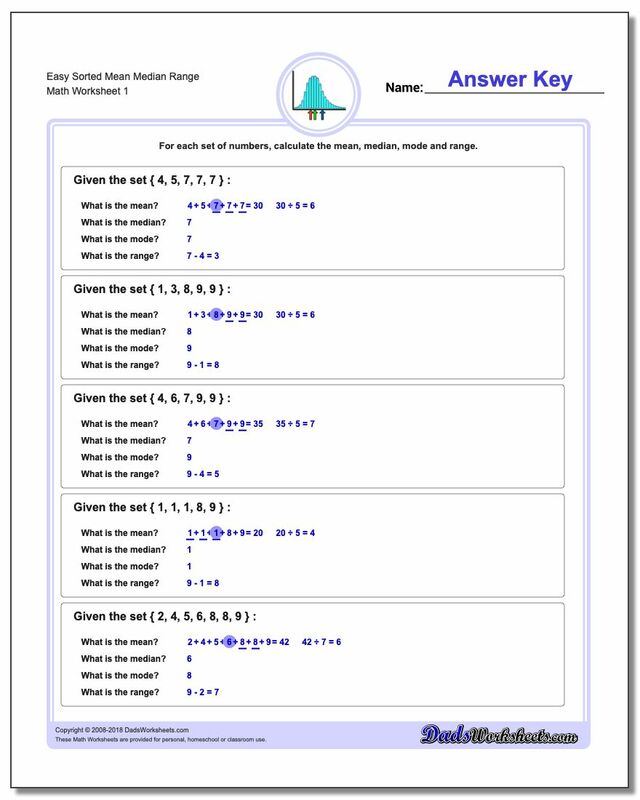 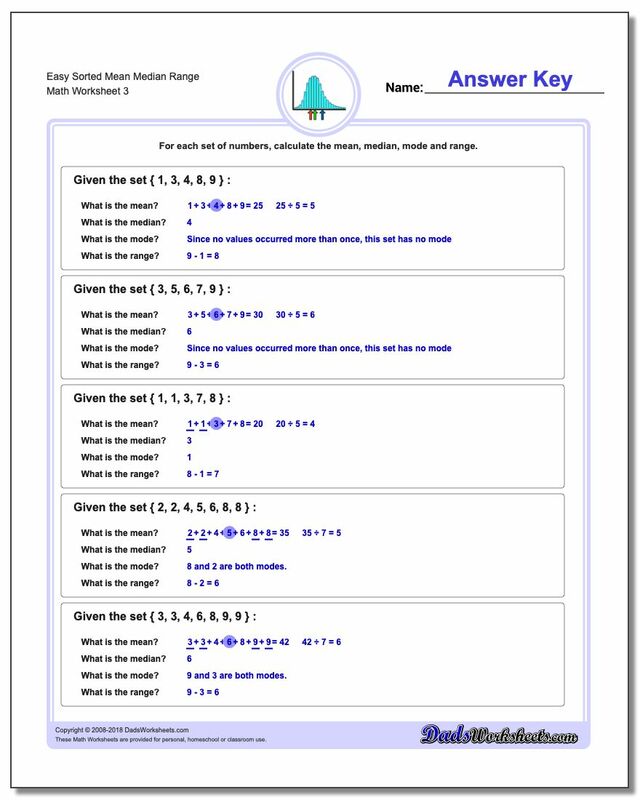 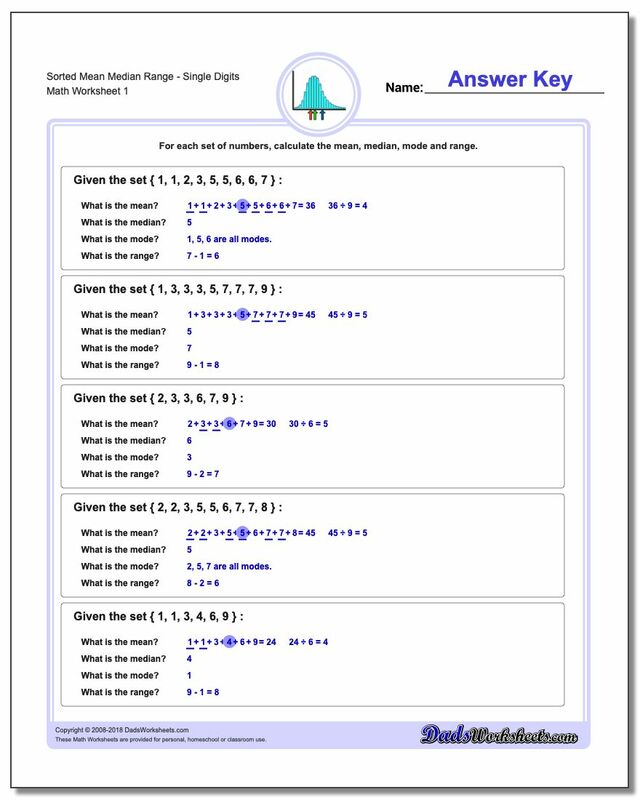 The worksheets on this page require kids to calculate the mean, median, range and mode for small sets of numbers, all of which are easy enough to add up on paper without the aid of a calculator. 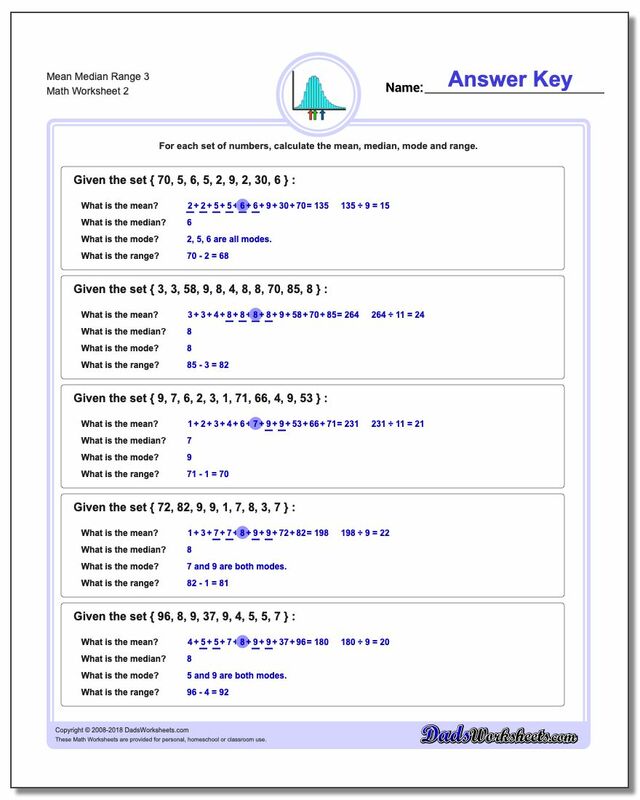 These are great practice tools for introducing concepts like mean or median because the sets of numbers are small enough to focus on the techniques to compute these statistics without getting bogged down in the calculations themselves.